Tecno Camon X VS Tecno Phantom 8: Which is Tecno best smartphone till date? Tecno Camon X VS Tecno Phantom 8: Which is Tecno best smartphone to date? Tecno Mobile has some of the best mid-range smartphones on the market. And are dominating the market in Africa, especially in the Western part of Africa. 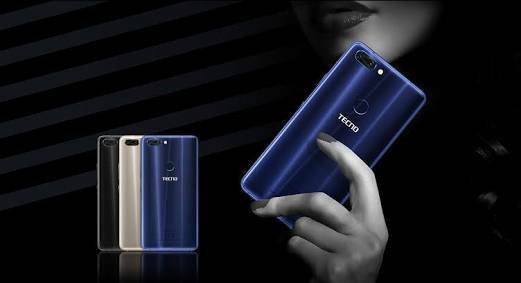 The Chinese company recently launched the “Tecno Camon X” and “Tecno Camon X Pro” in Lagos, Nigeria. A move that shows they’re targeting a great deal of audience from this part of the world. The Phones have been trending ever since. Mainly cause of the amazing camera quality that comes with it. And it happens to be so far, Tecno best camera smartphone. 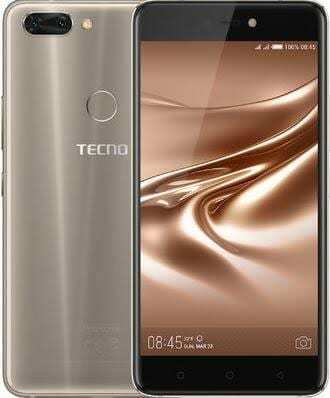 There is also the Tecno Phantom 8 which was released in the last quarter of 2017. The Tecno Phantom 8 is arguably one of their best ever product. So for this article, I would be comparing the features and specifications of the Tecno Camon X with that of Tecno Phantom 8. Which one can be called Tecno Mobile best smartphone to date? The Tecno Phantom 8 has arguably the best design on a Tecno smartphone till date. It comes in a metallic unique 3D Diamond Fire Design for premium touch. While the Tecno Camon X comes with a metal-plastic back cover. Both devices feature a front glass. And have sleek curved edges. The Tecno Camon X measures 7.8mm in thickness. While the Tecno Phantom 8 is far behind with a 7.9mm in thickness. Aside from the Tecno Phantom 8 being thicker, it’s also taller and wider in dimensions than the Tecno Camon X. The Tecno Phantom 8 is available in three body colours variants; Champagne Gold, Phantom Black and Galaxy Blue body colours. While also three body colours variants are available for Tecno Camon X; Champagne Gold, Midnight Black and City Blues body colours. The fingerprint sensor on both smartphones at the back. Also, their rear camera and LED flash are aligned in a horizontal position at the top-left corner. While the Tecno Camon X features a single rear camera. The Tecno Phantom 8 features a dual rear camera. When it comes to display, the Tecno Phantom 8 is the best. The Tecno Phantom 8 sports a 5.7-inch FHD IPS capacitive touchscreen. While the Tecno Camon X features a 6.0-inch HD+ IPS capacitive touchscreen. Tecno Phantom 8 with the better display resolution of 1080 x 1920 pixels and 403 PPI density. While a 720 x 1440 pixels resolution with 275 PPI density is featured on the Tecno Camon X. Tecno Mobile can pretty much said the main focus of the Tecno Camon X was its camera. Which is why it has a poor display quality. And of course, Tecno Camon X features the trending bezel-less which the Phantom 8 doesn’t. This more like someone winning in your own backyard. The Tecno Camon X main focus was on camera quality but the Tecno Phantom 8 beats it here. The Tecno Phantom 8 sports a dual rear camera having a resolution of 12MP and 13MP with a tri-LED flash. While the Tecno Camon X sports a single rear camera having a resolution of 16MP with quad-LED flash. For snaps and selfies, the Tecno Phantom 8 comes with a 20MP resolution front camera with smart dual-LED flash. While the Tecno Camon X features a 20MP resolution front camera with dual-LED flash. Tecno Phantom 8 with the better hardware. And able to perform hard task efficiently. Under the curtain of the Phantom 8 is Mediatek Helio P25 chipset. With an Octa-core processor which clocks at 2.8GHz. While under the curtain of Tecno Camon X is Mediatek Helio P23 chipset. Also with an Octa-core processor reaching a speed of 2.0GHz. The Tecno Camon X runs on the latest operating system of Android. Which is the Android 8.0 Oreo. While the Tecno Phantom 8 which came out last year, runs on Android 7.0 Nougat. The Tecno Phantom 8 features an impressive 6GB RAM with 64GB ROM. The ROM is expandable up to 2TB (terabyte) using a microSD. While the Tecno Camon X features a 3GB with 16GB ROM. The Tecno Phantom 8 comes with a non-removable Li-lon 3,500 mAh battery. While a non-removable Li-lon 3,750 mAh battery comes with the Tecno Camon X. Although both devices support fast charging system. The Tecno Phantom 8 is available for about $357 (N125,000). While you can get the Tecno Camon X for around $157 (N55,000). The Tecno Camon X is more like a smaller version of Tecno Phantom 8. The Tecno Camon X comes with better battery life than the Phantom 8. And with similar camera quality. The Tecno Camon X will give you value for money.